Some of the best traditional longboard riders in the United States, Australia, the United Kingdom, Brazil, Mexico, France and Hawaii hang out for some heavy surfing for four days in the Riviera Nayarit’s Capital of Surf. 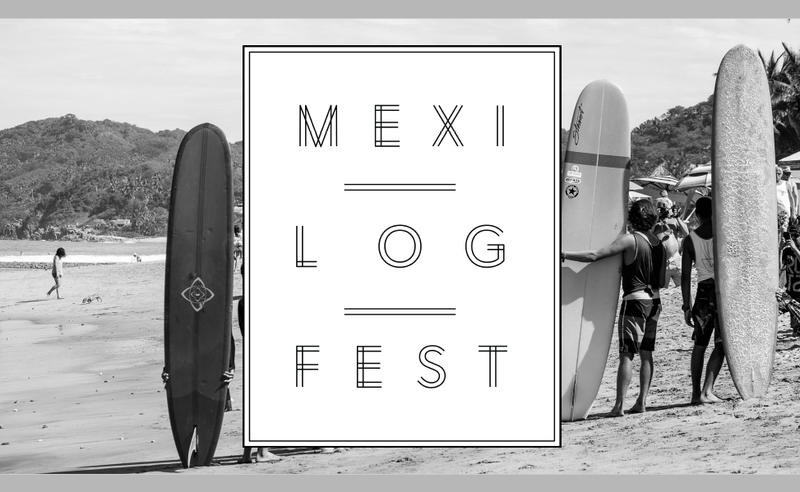 This is a lifestyle surfing event: conscious, inclusive and a lot of fun, with the participation of the best proponents of the traditional longboard with an ecological and sustainable focus. There will be three days of surfing, music, art, shapers, surf clinics for kids and much more. Log, or logging, also known as traditional longboarding, is the art of surfing with style, grace and precision on boards no shorter than nine feet long, without a leash and weighing over 12 pounds, with just one center keep at least nine inches in length. Basically, these are the same boards used back in the 60s. There are 48 competitors—24 men and 24 women—and there will be two local invitees per category. The US$12,000 prize money will equally divided between men and women, an initiative of the MXLF never before seen in Mexico. A percentage of the registration fee will be donated to the community and the local surfing association. Some of the male competitors include known names such as Alex Knost, JJ. Wessels, Corey Colapinto, Harley Ingleby, CJ Nelson, Harrison Roach, Mikey DeTemple, Mick Rodgers, James Parry, Caio Texeira and Ryan Burch. Female competitors include Justne Mauvin, Lola Mignot, Vanina Walsh, Mele Saili, Karina Rozunko, Chloe Calmon, Kassia Meador, Leah Dawson, Lauren Hill, Victoria Vergara, Honolua Blomfield, Josie Prendergast, Sierra Lerback and Stephanie Schechter. For more details: www.mexilogfest.com. Check out the 2015 competition here: https://vimeo.com/124321836.